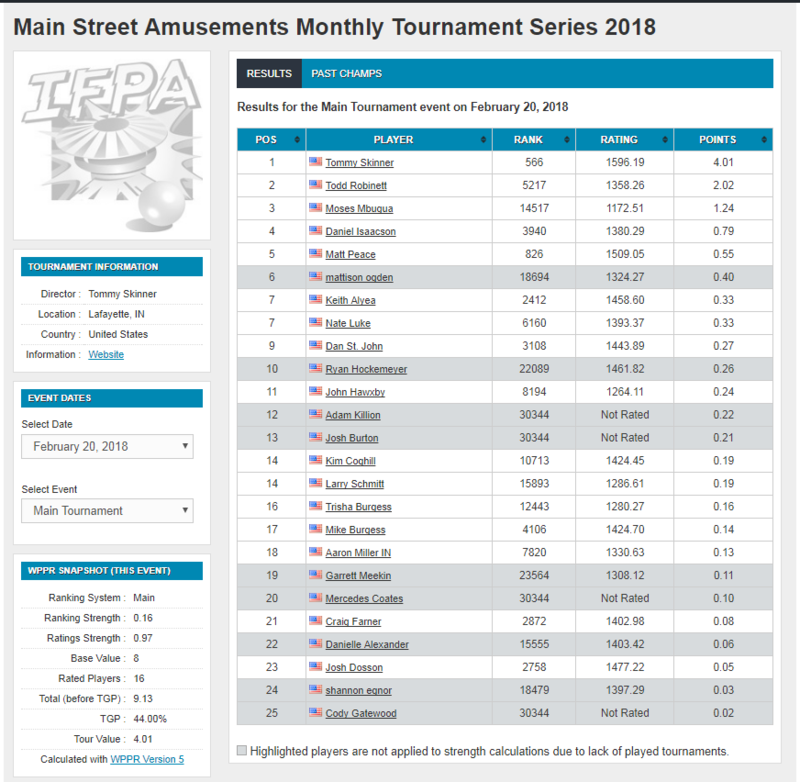 A huge thank you to everyone who came out and played in Main Street Amusements Monthly Tournament on Tuesday, especially Todd who came all the way from Oregon, and all the Fort Wayne and Indianapolis folks who also traveled. I hope everyone had a good time with the new format and will come back again next month. The full results have been uploaded and approved by the IFPA and can be seen below. Reminder that next Tuesday is a regular league night and we are playing Tron, Batman ’66, Captain Fantastic, Firepower, and Power Play! 7:30 start time like always!